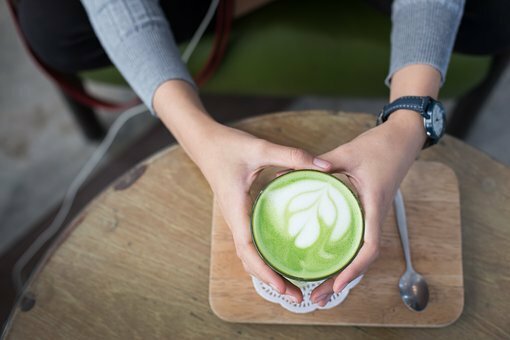 Although it’s been around for thousands of years, Matcha green tea is seeing a surge in its popularity thanks to the health benefits it offers. As people become more and more health conscious, they are constantly looking for products that offer optimum benefits. Matcha tea outdoes regular green tea in the health stakes, being more potent and offering greater levels of all the good stuff! The main reason for this is the fact that, unlike other green tea, the best quality Matcha tea contains the whole leaf. So, read on to discover why you should be consuming this delicious green tea. Although it is perhaps consumed predominantly in its more traditional form – that is, as a tea, Matcha can be successfully added to many dishes and other drinks, such as smoothies and protein shakes. If you’re feeling like a treat, you can even add Matcha to ice cream, making your very own green tea ice cream. It’s also good mixed with Greek yogurt with fruit and nuts or seeds. You can also add it to other recipes, of course, such as sprinkling it, along with a small dash of sea salt, onto chicken, eggs, or your favourite protein. If you do prefer to consume it as has been done for centuries though, don’t worry, as we have some advice for achieving the best Matcha tea. Broadly speaking, there are two ways in which green Matcha tea can be prepared. Firstly, we have Usucha, or thin tea, and this is prepared with roughly 75ml of hot water and 1.75 grams (or about half a teaspoon) of Matcha per serving. Most companies advise whisking this mixture to create froth on the top, but a simple swirl with a spoon will suffice if you prefer. Usucha is lighter and a bit more bitter. On the other hand, there is Koicha, or thick tea, which requires more Matcha. The best approach is to half the amount of water suggested for Usucha and double the amount of Matcha. Depending on how authentic you want your tea making to be, it is possible to buy a bamboo whisk (chasen), along with a traditional bowl and spoon, but special equipment is not strictly necessary. The way in which Matcha is produced (the tea plants are shaded by being covered with a cloth before harvesting), results in increased chlorophyll, which makes the leaves incredibly green and leads to a softer taste. Theanine is also produced in greater quantities than normal and, combined with caffeine, gives the tea drinker an energy boost similar to that of a cup of coffee, but longer-lasting and of milder effect. Other health benefits include protection against heart disease and some cancers, for example, lowering the risk of Ovarian cancer symptoms. It is also thought to aid blood sugar regulation, lower blood pressure, and reduce the effects of ageing. You can also expect a boost to your metabolism, thanks to EGCG, which is another polyphenol found in Matcha. Shown to reduce cortisol, Matcha can also help you on the way to losing a few pounds, is thought to reduce inflammation, and can help to stop impulsive eating, reduce blood pressure, and boost your self-esteem. Before you rush out to buy Matcha tea thinking that it is the answer to your weight loss prayers, bear in mind that drinking it alone will not help you to lose weight. That said, if incorporated into a healthy diet and lifestyle, Matcha most definitely has a helping hand to offer those wanting to shed a few pounds. In fact, studies have shown that drinking Matcha tea can increase the rate at which fat is burnt when combined with moderately intensive exercise.